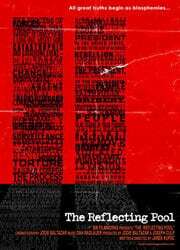 A new 9/11 investigative drama that challenges the official version of 9/11 events, ‘The Reflecting Pool’, is now available on DVD from reflectingpoolfilm.com. ‘The Reflecting Pool’ follows a journalist who teams up with the father of a 9/11 victim to investigate the official version of the events. Their findings pose a disturbing question that has no easy answer: To what extent was the U.S. Government at fault for the attacks? New feature film ‘The Reflecting Pool’ may just be the ‘All the President’s Men’ of our time. No, it doesn’t have Hoffman and Redford. But it is a chilling and important fact-based investigative drama. Los Angeles, CA (PRWEB) March 19, 2008 – The first edition DVD of ‘The Reflecting Pool’, a new 9/11 investigative drama that challenges the official version of 9/11 events, is now available from reflectingpoolfilm.com. ‘The Reflecting Pool’ follows an investigation by a skeptical Russian-American journalist who teams up with the father of a 9/11 victim to “fact check” the official version of the tragedy as documented in the 9/11 Commission Report. As they examine evidence and interview key eyewitnesses, the official story begins to crumble. ‘The Reflecting Pool’ is the first investigative drama to present this issue in the spirit of such films as ‘All the President’s Men’ and ‘JFK’. The movie’s theme reflects the recent New York Times/CBS News opinion poll, in which the majority of Americans believe the Bush administration is not telling the truth about the September Eleven events. Writer/Director Jarek Kupsc plays Alex Prokop, a successful journalist who receives a mysterious 9/11 videotape revealing new information on the attack. Joseph Culp appears as Paul Cooper, the man who sent the tape and a driven researcher whose daughter died on 9/11. Though skeptical of conspiracy theories and fearful that it will jeopardize his career, Prokop agrees to take on the story with encouragement from his editor and a former Gulf War correspondent, McGuire, played by Lisa Black. We follow Prokop and Cooper as they investigate the inexplicable collapse of the 47-story WTC Building 7, disprove the implausible airliner attack on the Pentagon, uncover the illegal destruction of physical evidence from Ground Zero, and discover information that the White House knew an attack was imminent. The results of their investigation suggest the official version as presented in the 9/11 Commission Report purposely ignored or omitted vital evidence and testimonies to protect people in political positions, including the present administration. Prokop, plagued by the ghosts of his Communist childhood and trying to uphold the independence of American journalism, struggles to come to grips with this awful truth. ‘The Reflecting Pool’ is an intense, sobering analysis of the most controversial tragedy of our time. Drawn from established sources and based on verifiable facts, ‘The Reflecting Pool’ is a thought-provoking study of a search for truth and the profound consequences of not looking for it any further than the nightly news. ‘The Reflecting Pool’ DVD includes ‘Revealing the Sources’ a commentary that documents sources used to create the film including articles, quotes, and references from established sources (including CNN, FOX News, The New York Times, and the U.S. Government). Often, these news articles and transcripts have been deliberately marginalized, buried, obscured, and made difficult to find by the average citizen. Previous articleVice President Cheney: How Many Additional Dead Americans Was Saddam Worth?